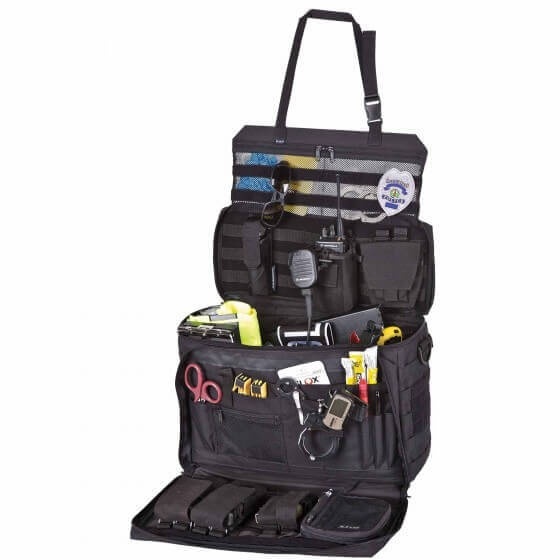 Designed to fit in your passenger seat, the 5.11 Wingman Patrol Bag functions as a combination organizer, tool kit, and tactical bag, keeping everything you need within easy reach. Ideal for Highway Patrol Officers, Sheriffs, or frequent travelers, the Wingman Patrol Bag utilizes a specialized strap that fastens around your car seat, keeping your gear and accessories stable and secure. 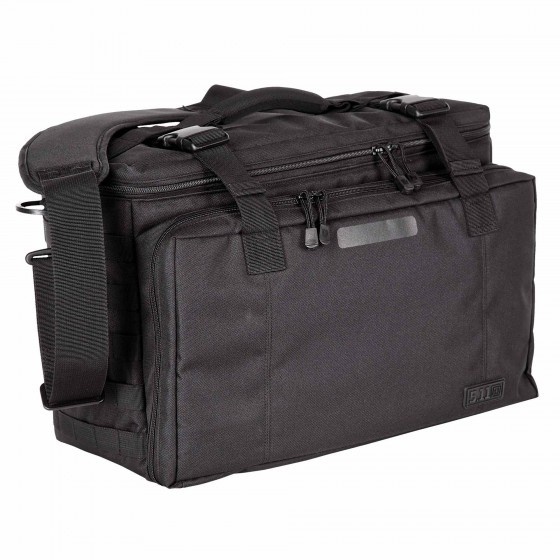 When it's time to disembark, the Wingman functions as a traditional messenger bag and allows you to pack up your gear quickly and completely. 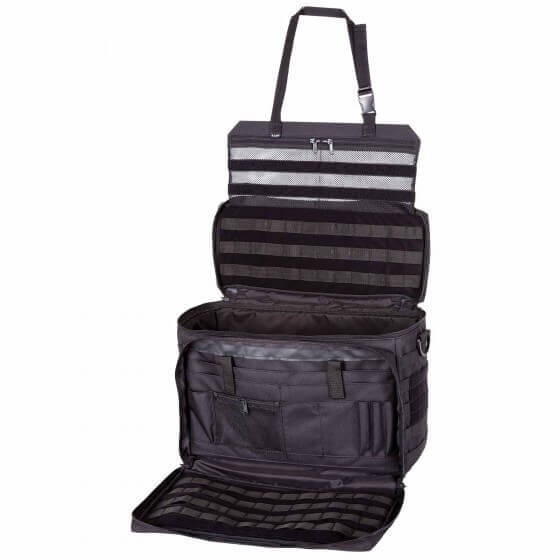 5.11 Backup Belt System™ compatible patches allow customized accessory storage, a fold out front panel keeps small items organized, and an adjustable main compartment divider allows you to adapt your storage space on the fly.